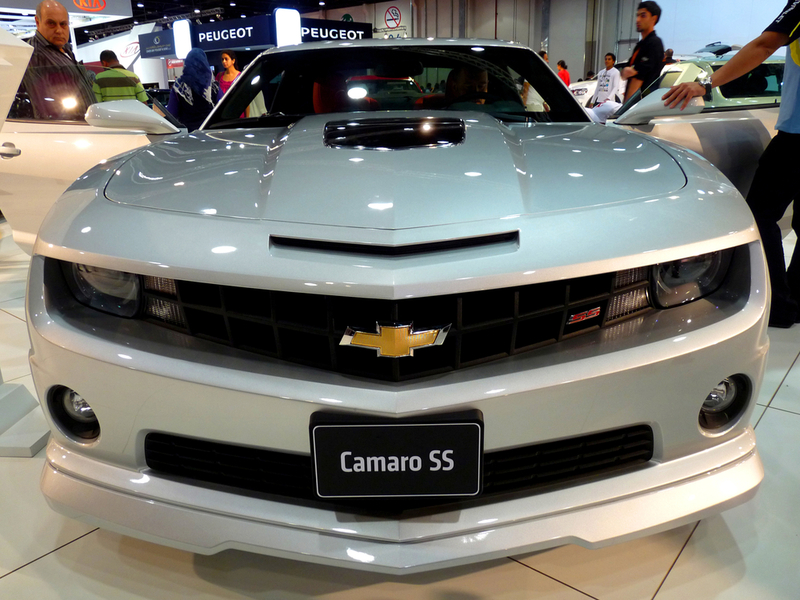 What is old is new again as Chevrolet has unveiled their new next generation 2016 455-horsepower Camaro. What sets this model apart from previous incarnations, is the significant changes from the model it replaced, even if it still has that signature look. The big changes include an all-new chassis, a new engine option, new tech that it’s packed with, and the odd fact that it actually weighs 200 pounds less than the previous model. If you’re a fan of American Muscle cars, the new Camaro is definitely worth checking out and maybe even test driving. The new Camaro is available in three different engine options and two trim levels. The base LT comes with a new standard engine: a turbocharged 275-horsepower, 2.0-liter four-cylinder available with either a six-speed manual or eight-speed automatic transmission. It might be a four-cylinder, but like the Mustang EcoBoost it’s no slouch. Chevy even states that the car is good for a zero-to-60 mph in less than 6 seconds. Optional on the LT is the 335-hp, 3.6-liter V-6, which makes less torque than the turbo four (284 pounds-feet compared to the 2.0-liter’s 295 pounds-feet), but is available with an optional dual-exhaust package. 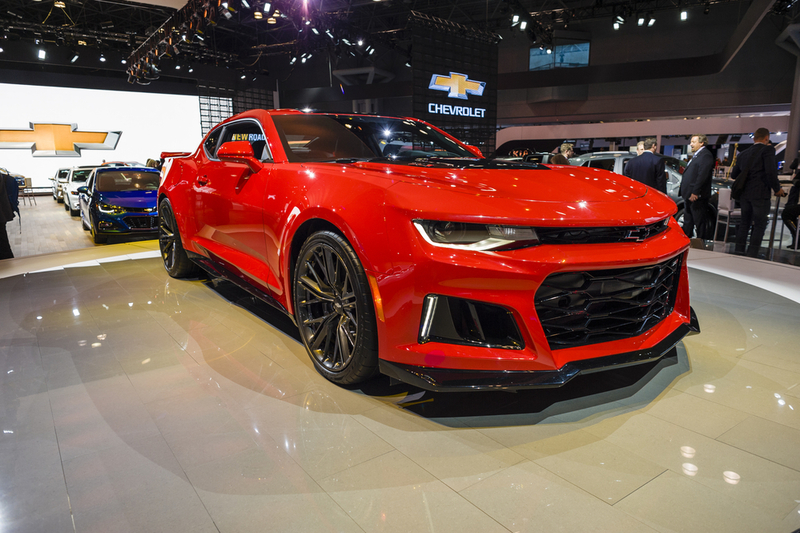 The top of the line option will be the 6.2-liter LT1 V-8 available in the SS trim level only which is the one that hits 455 hp with 455 pounds-feet of torque. Like the other two engines, you can have it with a six-speed manual or eight-speed automatic transmission. Fun fact, it’s the same eight-speed that’s in the Chevrolet Corvette. The suspension is brand new as well, with a MacPherson strut setup in front and an independent five-link setup in back. GM’s Magnetic Ride Control adjustable suspension is now even available as an option on the SS (it was previously only available on the Camaro ZL1). Thanks to the lighter weight (engineers shaved 26 pounds off of the suspension alone) and more powerful engines, Chevy says that the new Camaro SS turns in faster lap times than the last-generation SS 1LE performance variant. Stopping will be easier too; both trim levels will offer Brembo brakes (standard on the SS) – 12.6-inch four-piston fronts with 12.4-inch rear rotors on the LT, 13.6-inch fronts with 13.3-inch rear rotors and four-piston front and rear calipers on the SS. The Camaro even has a new electronic parking brake to replaces the manual one, which is odd because apparently this was to make room for repositioned cup holders. Not every driver will like the change, considering that the Camaro is a muscle car built for performance, not having a manual parking brake is just odd, to say the least. (Has anyone figured out how to do a hand-brake turn with an electronic parking brake yet?) At the same time an RS Package is also available for the LT model, which adds bi-xenon headlights and a unique LED light pipe, along with larger wheels and tires. Eighteen-inch wheels are standard on the LT, 20 inch on the SS. Overall, the new Camaro evolves on many of its predecessor’s design and features. 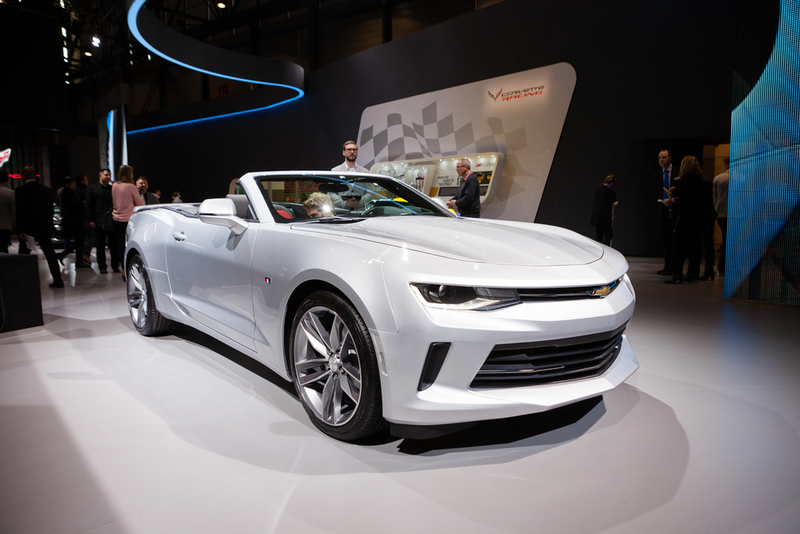 The outside hasn’t changed all that much, it is instantly recognizable as a Camaro and keeps the car’s retro-inspired shape, yet is still brought to the streamlined expectations of a 21st century sports car. The previous Camaro was simply a refinement of previous iterations and the 2007 concept car left many fans feeling that the Camaro was becoming a bit run-of-the-mill. Simply looking at this new model, you may be inclined to believe it’s more of the same due to little change to its size and shape. However, it now possesses a much longer wheelbase and sports a more aggressive-looking sculpt on the front and rear. It’s also a little taller than previous models, giving more interior room without sacrificing weight and aerodynamics. Another area the new Camaro has really been upgraded is on the inside. There’s definitely a nod to the previous versions but there are now upgraded materials and a better layout. The Camaro’s distinct dual-binnacle gauge cluster is still there but it has been tweaked to house an optional 8-inch center screen that can show navigation, performance data, and even multimedia features. The 8-inch touch-screen is front and center in this car and it features the next-generation Chevrolet MyLink multimedia system. That means it can fully integrate itself with smartphones and tablets to operate an array of media apps and even internet-based applications. Beyond this new emphasis on multi-media functionality, another luxury item Chevy has tinkered with is integrating the heating and cooling controls right into the rings for the climate control vents, eliminating those buttons on the center console for a sleeker look. The LED interior ambient lighting has 24 different colors that you can set, and includes fade and transition effects such as a mode that cycles through all the colors when the car is parked. Speaking of modes, the new Camaro is set to feature a new driver mode selector, which allows the driver to cycle through one of three different settings for the car: this means adjusting settings such as throttle, shift pattern, engine sound management, power steering feel, interior lighting, suspension settings, and even stability control sensitivity. The Camaro comes in four-cylinder models that feature active noise cancellation but some gearheads may opt for a premium Bose stereo which will actually pipe the engine sounds electronically into the cabin. The V-6 and V-8, meanwhile, are the real deal with the interior being built to transfer the real engine sound directly inside but it also has an optional dual-mode exhaust enables drivers to choose between “stealth” mode for quiet driving or “track” mode to let the world know they are driving a muscle car. If you are looking for some new American muscle for your garage or a new car to test drive and play around with on the track, you can’t go wrong with the new Camaro. Fans who have held out since the 2007 revival of the car would do well to check this one out.